A total of 6 reviews for Smarttechuk.co.uk have been written yet. The most recent reviews are listed below. Needed to sort out my alloy wheels and gave Smarttech a call to arrange a date and time. he was on time and did a great job and my alloys look like new. A great job and would use again. 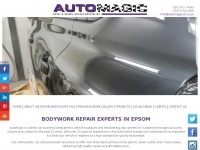 I searched for a local company online to refurbish my alloy wheels and was impressed by the Smart Tech website. I called and left voicemails with three local firms, where Ben from Smart Tech replied almost immediately. Incidentally, I was shocked & disappointed that none of the other companies responded to my voicemails, so it was a no-brainer to go with Smart Tech. All I had to do was send him photos of the wheels via my mobile phone on Whatsaap to obtain a quotation. He quickly replied with a quote, where we then arranged a date & time for him to refurb my alloys. He was polite and courteous throughout the operation and was chatty and cheerful as I asked him questions while he worked. He did a tremendous job, whereby all four of my Mercedes AMG black alloy wheels now look better than new! He advised me of the after-actions I must take in keeping them pristine and advice on tyre pressures etc. and issued me with a receipt upon payment. He has now also fitted 'Alloy Gator' wheel-rim protectors (which I bought separately) to the wheels. All in all, I'm an extremely satisfied customer and highly recommend Smart Tech (Ben) to anyone! Ben has looked after the alloys on my cars for over two years now with no complaints whatsoever. He's on time, gets the job done with no fuss to an excellent standard. He's the only one I trust and turn to when it comes to my alloys and can't recommend highly enough. they made my old tired wheels look new again. On the phone the man seems friendly & polite. He came to respray my alloy wheel. When the work was completed I asked him for a receipt for the work carried out as it comes with a two year warranty. He said oh you don't need a invoice. So I said how do I proof my two year warranty. He said oh you just call me if there are any problems & I will sort it out. THATS A BIG LIE. I have been calling & calling him, but no answer. I have left messages for him & still no reply. 0 links pointing to Smarttechuk.co.uk were found. The most used keywords in text links are Alloy Wheel Repair, Alloy Wheel Repair Harold Hill and Alloy Wheel Repair London. 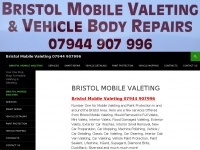 Individual words like Alloy, Wheel, Repair and London are frequently used in text links from other websites. The most important links to the website are from Computer-support-blog.co.uk and Garden-clearance.co.uk. The homepage of Smarttechuk.co.uk and the subsite are most referenced by other websites. The table shows the most important links to Smarttechuk.co.uk. The table is sorted in descending order by importance. The table shows websites of Smarttechuk.co.uk, which are often linked by other websites and therefore they are classified as important content. 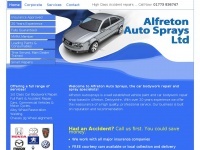 Bakerbodycraft.co.uk - Mil­den­hall Acci­dent Re­pair Cen­ter and Body Shop in ..
Alfreton-autosprays.co.uk - Car Bodywork Re­pair Auto Sprays paint re­pair shop - ..